ACE is not properly translating an EPS to GBR. See attached file. Your postscript contains both graphical text (i.e. drawn text) and images of text (i.e. embedded images). ACE converts graphical objects like: Text, Lines, Circles, Polygons, Rectangles, etc. 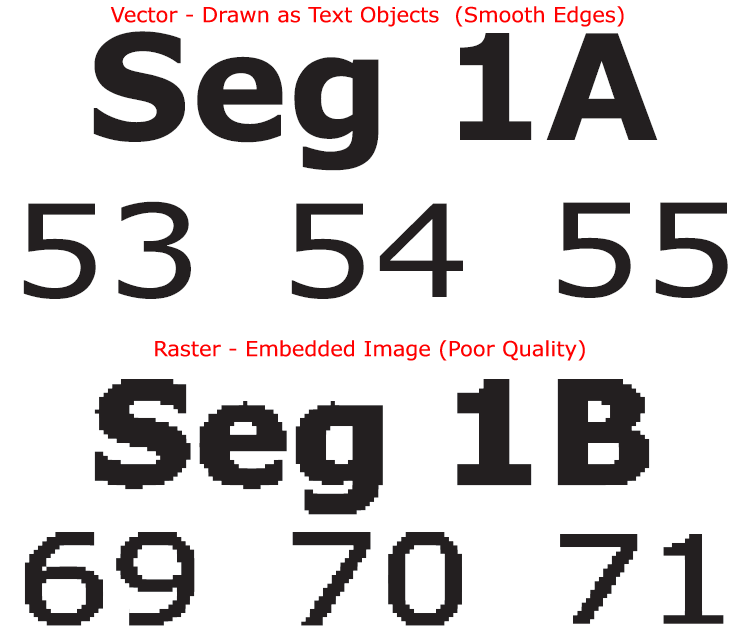 However, ACE does not convert "embedded" images within a postscript file. Note: I'm positive that low-resolution embedded image of Text is not going to be acceptable for your silkscreen. To resolve the issue, the Potscript/PDF must be updated either in your drafting tool or use the ACE Editor to add graphical text (for the missing embedded images of text) and then export to Gerber.